We can watch the marijuana policy landscape shift before our eyes, with legalization initiatives and decrim measures popping up around the country and even Oklahoma Republicans arguing over legalization. There is also action on the opiate front, the Senate will vote on defunding the DEA's war on medical marijuana in states where it is legal, and more. House Fails to Add Rider to Block DC Decriminalization Law . The House Financial Services and General Government Appropriations Subcommittee approved a familiar series of social policy riders on the District of Columbia budget, but did not include one that would seek to undo the city's recent adoption of marijuana decriminalization. It's not a done deal yet, however; such a rider could still be added during the legislative process. The subcommittee did approve riders barring the District from funding needle exchanges or medical marijuana programs. Delaware Decriminalization Bill Heads for House Floor Vote . A bill that would decriminalize the possession of up to an ounce of marijuana and levy a maximum $250 fine passed the House Public Safety Committee today. House Bill 371  now heads for a House floor vote. Marijuana Policy in the Oklahoma GOP Governor's Race . In next week's GOP primary, sitting Gov. Mary Fallin is up against two longshot opponents who both favor marijuana legalization. Both Chad Moody, also known as "The Drug Lawyer," and Dax Ewbank, a libertarian-leaning Republican, have come out in favor of freeing the weed. But Fallin says that's not on her to-do list: "I just don't see that it provides a substantial benefit to the people of Oklahoma," Fallin said. Milwaukee Legalization Initiative Signature-Gathering Drive Underway . A coalition of Milwaukee groups have begun a petition drive to place a municipal legalization ordinance  on the November ballot. The measure would legalize the possession of up to an ounce. The groups have until July 29 to come up with 30,000 valid voter signatures. People interested in helping out can get more information here . Philadelphia City Council Votes to Decriminalize Marijuana . The city council today approved a decriminalization measure introduce last month by Councilman Jim Kenney. Up to 30 grams is decriminalized, with a maximum $25 fine. Four years ago this month, the city began treatment small-time possession as a summary offense, with a maximum $200 fine and three-hour class on drug abuse. Activists Gather Twice the Signatures Needed for York, Maine, Legalization Initiative . Activists supported by the Marijuana Policy Project  needed 100 valid voter signatures to present a marijuana legalization petition to the York Board of Selectmen. They handed in 200. Similar petition drives are going on in Lewiston and South Portland, and Portland voters approved a legalization referendum last year. The local efforts are laying the groundwork for a statewide legalization initiative in 2016. Sens. 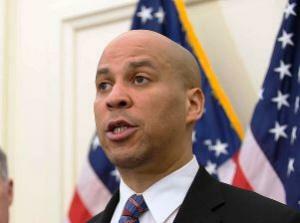 Rand Paul, Cory Booker Cosponsor DEA Defunding Amendment in Senate; Vote Could Come as Soon as Tonight . Sens. Rand Paul (R-KY) and Cory Booker (D-NJ) have cosponsored an amendment to the Justice Department funding bill that would shield medical marijuana patients and providers from the attention of the DEA in states where it is legal. The vote could come as soon as tonight or tomorrow. The House passed such an amendment at the end of last month. New York Governor, Legislature in Tentative Deal as Session Draws to End . With the legislative ticking down its final hours, Gov. Andrew Cuomo (D) and legislative leaders today announced a deal that would allow passage of a medical marijuana pilot program, but would not allow patients to smoke their medicine. North Carolina Limited CBD Medical Marijuana Bill Wins House Committee Votes . A bill that would allow some patients to use a high-CBD cannabis oil was approved by the House Health Committee Wednesday and the House Finance Committee today. Drug Policy in the Colorado GOP Senatorial Race . Former Colorado Congressman Tom Tancredo, who is running for the state's GOP senatorial nomination, is being attacked as a drug legalizer in a radio ad created by a committee supporting former Sen. Mike Copp. While Tancredo supports marijuana legalization and has in the past spoken of the need to consider drug legalization, he says he is not ready to legalize hard drugs and is demanding that the ads be pulled. Vermont Governor Signs Package of Bills Aimed at Opiate Use . Gov. Peter Shumlin (D) Tuesday signed into law a package of bills and executive orders that will ramp up treatment for opiate addiction, but also increase penalties for bringing more than one gram of heroin into the state. The centerpiece of the legislative package is Senate Bill 295 , which will fund pretrial screening and drug treatment for suspects before they are arraigned. New York Assembly Set to Approve Package of Heroin Bills . Gov. Andrew Cuomo (D) and key lawmakers announced Tuesday night that they had a deal on a package of heroin bills that would raise awareness of the issue and increase insurance coverage of heroin treatment. What isn't clear is whether they agreement also includes a series of Rockefeller drug law-style measure passed by the Republican-dominated Senate that would increase criminal penalties for some heroin offenses. DC Police Chief Orders No Arrests for Overdose Victims . In a recent memorandum , Metropolitan Police Department Chief Cathy Lanier has instructed her police force to observe protections from arrest and charge granted under a DC law designed to encourage residents to seek immediate medical assistance for a person experiencing an overdose. The Good Samaritan Overdose Prevention Amendment Act of 2012 (#A19-564), which was passed by the D.C. Council in 2012 and took effect on March 19, 2013, provides limited legal protection from arrest, charge and prosecution for those who witness or experience a drug overdose and summon medical assistance. Federal Fair Sentencing Act Picks Up Another Sponsor . And then there were 39. Rep. William Envart (D-IL) has signed on as a cosponsor to the Federal Fair Sentencing Act. That makes 25 Democrats, along with 14 Republicans. It would reduce the use of mandatory minimum sentences and impose retroactivity for crack cocaine sentences handed down before 2010. Britain's Looming Khat Ban Could Create Black Market . A ban on khat is about to go into effect in England, and this report suggests that it could create political tensions in East Africa, as well as creating a black market for the substance in England itself. Albanian Siege of Marijuana-Producing Village Continues . A police assault on the village of Lazarat that began Monday is still underway as clashes continued between police and armed villagers. Some 800 police are involved in the operation, and they say they have seized or destroyed more than 10 tons of marijuana so far. But that's only a fraction of the 900 tons the village is estimated to produce annually. The town's $6 billion pot crop is equivalent to about half Albania's GDP.